Deforestation is responsible for 20% of the global emissions that are contributing to climate change. But it’s also taking a grave toll on the communities living in or near these forest communities. In the far northwest of Cambodia, near the Thai border, a group of Buddhist monks are confronted with illegal logging that has been destroying the regional forest that is essential to the survival of local communites. 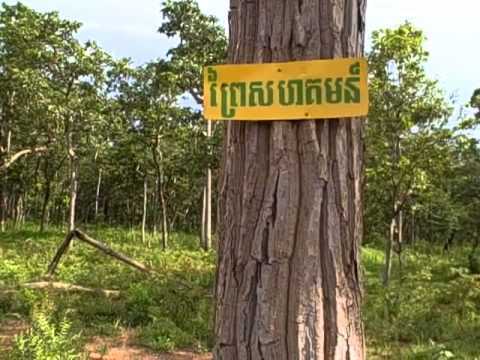 In response to this, in 2002, Venerable Bun Saluth, head of Samrong Pagoda in Oddar Meanchay Province, established protections for an 18,261 hectare area now called the Monks Community Forest (MCF). Venerable Saluth felt it his personal mission to conserve this Cambodian forest, based on Buddhist principles of respect for nature and for all life. “The tree is a symbol of life, and sacred to Buddhists: Buddha was born under the tree, attained enlightenment under the tree, and died under the tree,” he explains. The monks say they wish to conserve this area as Cambodia’s living heritage, and to ensure that poor communities living near the MCF benefit from the forest for years to come. These Samrong monks are setting a powerful example for the 90% of Cambodians who are Buddhist. In this region, the pagoda functions as the town’s community and spiritual center. Villagers living close to the MCF have stepped forward to help patrol the forest and support of the monks’ conservation efforts. 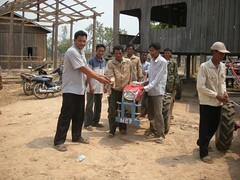 These daily forest patrols, in addition to tree ordination ceremonies, have substantially curtailed illegal activities in the majority of the MCF. Locals assert that the MCF is the best part of what remains of the local forest. 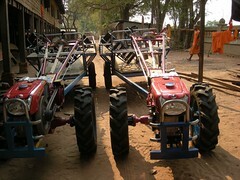 The current level of protection would not be possible, they say, if the monks were not at the helm of conservation efforts.